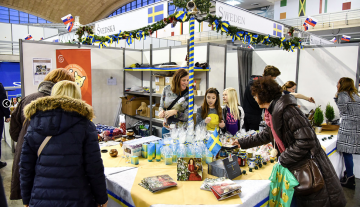 This year Sasa from Husse Serbia helped the Swedish Embassy in Serbia to take part in the Diplomatic charity Bazaar. This is the largest this type of event on diplomatic level, many ambassadors from all over the world attended. Husse flyers were shared alongside the food Husse Serbia delivered to the Swedish Embassy. You can see more pictures in the magazine here. Well done! 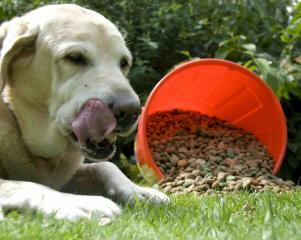 Wet Food vs Dry Food - What Should You Be Feeding Your Dog? Whether you’re a first-time dog owner or if you’ve enjoyed the company of dogs all your life, choosing between different types of dog foods can seem confusing. Even choosing between two of the most widely available shop-bought diets, wet and dry, there’s so much conflicting advice. So we asked our friends at Husse, who make dog food that’s enjoyed all over the world, to give us a run-down of the pros and cons of these two options when choosing dog food to help you decide for yourself which is the best option for your dog. 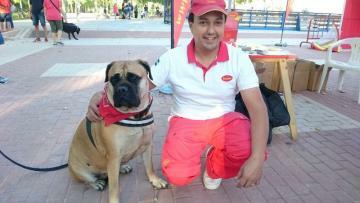 On 9th of September Husse attended adoption event: Feria Solidaria de Mascotas in Tres Cantos, Madrid. Event took place in a big park where many owners go with their dogs. During this fair Agility competitions and beauty contests took place. Husse also donated 100 kg of pet food to the main shelter organisation who participated in the event.